Whether it be for birthdays, holidays, or just because – you can find yourself scrambling for a last minute gift box. 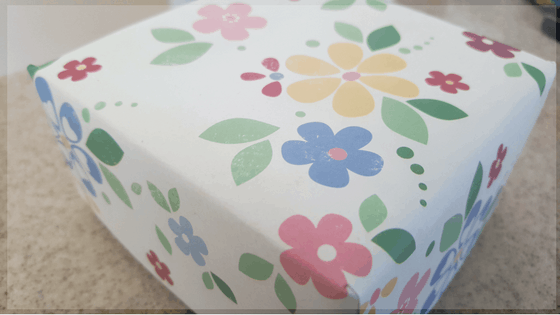 You can create your very own gift box out of 12 x 12 cardstock, and it’s really simple! This step by step guide will teach you how to make your own… and for only pennies! Congratulations, you just made the bottom of your box! These gift boxes are great for tasty treats and small trinkets. Oh how fun! I think I’m going to make some of these for Christmas! I really like this idea! This offer more of a variety and is super cost effective. I never would have thought to do this! Your tutorial is very detailed and easy to follow so I plan to try this out with the upcoming holidays! This is awesome, fun and easy! I am always needing this so bookmarking for later! We love giving neato things and we are always going to parties so thanks so much! love this! always scrambling for boxes during the holidays! thanks so much for sharing! Wow this is so creative. I also love DIY projects for it allows me to incorporate a personal touch as well as saves time and Money by using materials that can be found at home.